High yields in continuous corn are possible if residue, nitrogen, and volunteer corn are properly managed. 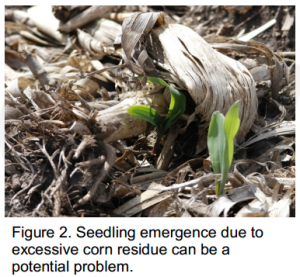 Several management strategies are recommended to reduce the risk associated with corn following corn. Start by selecting highly productive fields. In addition, the right corn product and insect trait package along with optimal seeding rates. Find protection against early-season diseases and insects using seed treatments.